If you enjoyed playing the older Assassin’s Creed games, then you are in for a great surprise. Assassin’s Creed 3 Remastered was announced last year back in September and now, Ubisoft has decided to announce the official release date for the game. With that said, Assassin’s Creed fans should be happy to know that the new game is going to arrive on March 29th. “Assassin’s Creed III Remastered will launch on March 29, re-igniting Connor’s revolution on Xbox One, PS4, and PC. 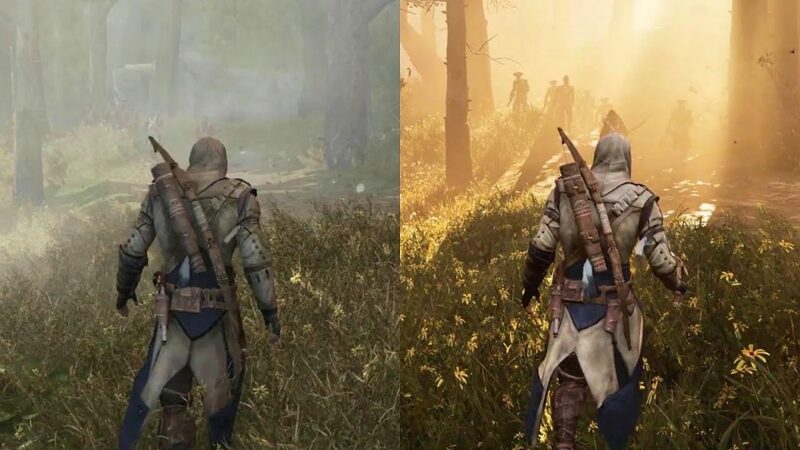 Featuring a new graphics engine, along with enhancements that include higher-resolution textures and support for 4K and HDR, the remastered edition also packs in improvements to Assassin’s Creed III’s ergonomics and gameplay mechanics,” said Ubisoft in a recent blog post. The most important thing about Assassin’s Creed 3 Remastered is the fact that it doesn’t only introduce improved and higher-resolution textures, but also that it features a new graphics engine. This is going to make the game run smoother than the original version and Assassin’s Creed 3 Remastered will look amazing on a giant monitor or TV screen. Assassin’s Creed 3 Remastered will obviously feature the full game content that we already know, but that’s not all. Ubisoft has announced that Assassin’s Creed 3 Remastered will also feature all the post-launch content. This includes missions such as “Benedict Arnold”, “Hidden Secrets”, and the “Tyranny of King Washington”. The mission called the “Tyranny of King Washington” has a really cool story that takes place in an alternate universe where George Washington decides that he wants to become the King and he starts. Additionally, the remastered game will feature “Liberation Remastered” which is an enhanced version of Aveline de Grandpre’s battle for freedom that took place in the 18th century in New Orleans.